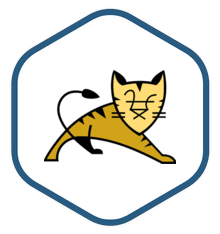 Tomcat image is secure, up-to-date, and pre-configured to work out of the box. Tomcat is a widely adopted open source Java application and web server. Created by the Apache Software Foundation, it is lightweight and agile with a large ecosystem of add-ons. Tomcat is an open source Java servlet container and one of the most widely adopted application servers in the world. The Bitnami Tomcat stack greatly simplifies the development and deployment of applications based on Tomcat. It consists of ready-to-run versions of Apache, MySQL, Tomcat, Java, and all of the other software required to run each of those components. Completely configured and ready to run out of the box. Includes an Apache webserver, MySQL, and Java, as well as all other required libraries dependencies. Regularly updates with the latest stable release of each component in the stack.